Sebaceous cysts pose no risk to life. Can cause discomforting symptoms if left untreated. Doctors usually treat them surgically. Home remedies can help treat cysts easily. A sebaceous cyst is a common noncancerous painless but possibly discomforting cyst of the skin that may contain liquid or some semi liquid material. Mostly found in neck, torso, or face, sebaceous cysts grow slowly and can be easily diagnosed through a physical examination. Sebaceous cysts form out of the sebaceous gland that produces an oil called sebum which coats your hair and skin. If the gland gets blocked, the oil is unable to leave and develops a trauma at the skin, which gradually may grow into a sebaceous cyst. Common sebaceous cysts treatment includes draining out the liquid or surgically removing the cyst. However, there are also some amazing natural remedies to cure sebaceous cystsavailable that can help you treat cysts easily. Here are some of the most effective home remedies for cyststhat you can try. 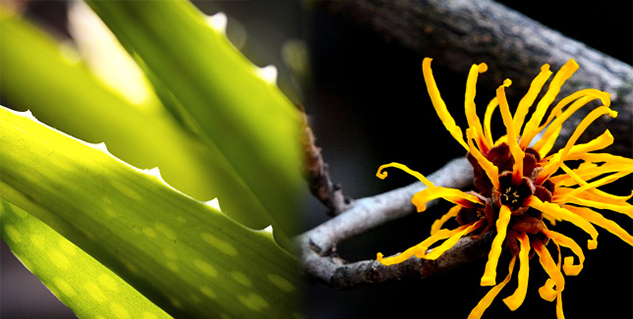 Witch hazel offers some amazing astringent properties that can help in curing sebaceous cyst easily. To treat sebaceous cysts at home, apply some witch hazel extracts or cream over the cyst and let it soak for 10-15 mins. Tannins present in witch hazel will remove the excess oils and tighten the pores. Although, the size of the cyst will begin to reduce within next couple of days, try this effective home remedy for at least a week for best results. Aloe vera is an all-round home remedy for skin problems with some amazing pain-relieving and healing properties. Apply aloe vera gel directly over the cyst. The gel will provide instant relief form the discomfort caused by the cyst. Within couple of days the cysts will start to shrink. For even better results you can also drink aloe vera juice. Tea tree oil offers anti-inflammatory and anti-bacterial properties, which can be very helpful in healing various health problems, such as acne, headache, cough, warts, as well as sebaceous cysts. Apply some tea tree oil directly on the cyst to treat it. It will not only treat the cyst but also prevent risk of infection. Castor oil also works wonders with cysts. It helps reduce the size of the cyst as well as provide quick relief form itching. Soak a cotton swab in castor oil and gently apply the oil directly on the infected cyst. Turmeric can be very useful against cysts. You can drink turmeric milk to help your body cure cysts on its own. If in case the cysts bursts anyhow, let all the fluid drain out and apply turmeric paste over the area and cover with a clean cloth. It will prevent the risk of infection.